Ice, Ice Baby: Will Global Warning Unleash A New ‘Giant’ Virus? It sounds like something from the domain of science fiction, but sadly, it’s not. French scientists have discovered a new type of ‘giant’ virus called ‘Pithovirus’ in the frozen extremes of northeastern Siberia. Buried underground, this hardy virus – the biggest giant virus discovered to date – has survived being frozen for more than 30,000 years. This means that the last time it was active, Neanderthal man walked the earth. Giant viruses are the only viruses that are visible with optical microscopy. They contain a very large number of genes when compared to common viruses like influenza or AIDS, and they can infect amoeba. In fact, their genome is about the same size, or even larger, than that of many bacteria. The discovery of Pithovirus – which is thankfully harmless to humans and animals – demonstrates that viruses can survive in permafrost for millennia. This has enormous public health implications, especially as big business blindly moves forward with the exploitation of energy resources in circumpolar regions as the effects of global warming take hold. 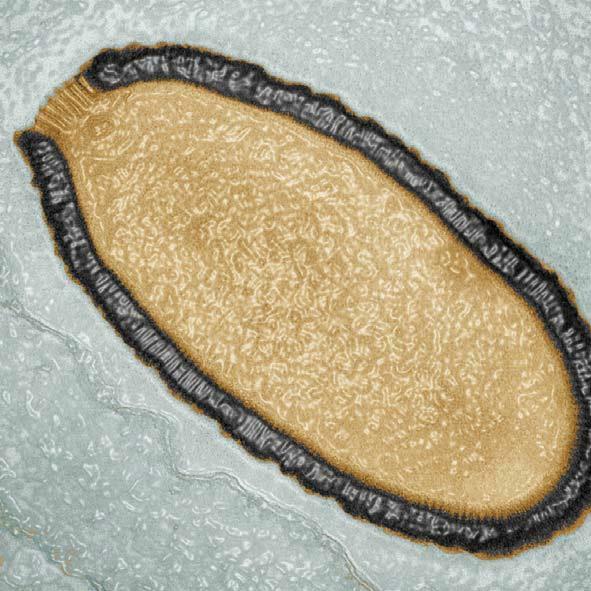 The revival of such an ancient virus suggests that the thawing of permafrost, either from global warming or industrial exploitation, presents a future threat to human or animal health. The big picture for the people on the planet? Global warming could result in the release of malign life forms from the frozen ground. The re-emergence of viruses that were once considered to be eradicated, such as smallpox – which has a similar replication process is similar to Pithovirus – is now a reality. To measure the probability of this scenario, France’s Centre National de la Recherche Scientifique’s Information Génomique et Structurale laboratory is already working on a metagenomic study of permafrost.